We have enjoyed a particularly exciting week of literature, reading and Art across the school. On Monday we were delighted to welcome award-winning author Jo Cotterill to school, both to run a story-writing workshop with Year 7 and to host our inaugural Years 6-8 Parent and Pupil Book Club which proved a huge success. Reading together as a family is so important in encouraging intellectual curiosity, imagination and creativity, developing empathy, language skills and fundamentally setting our children up to succeed. 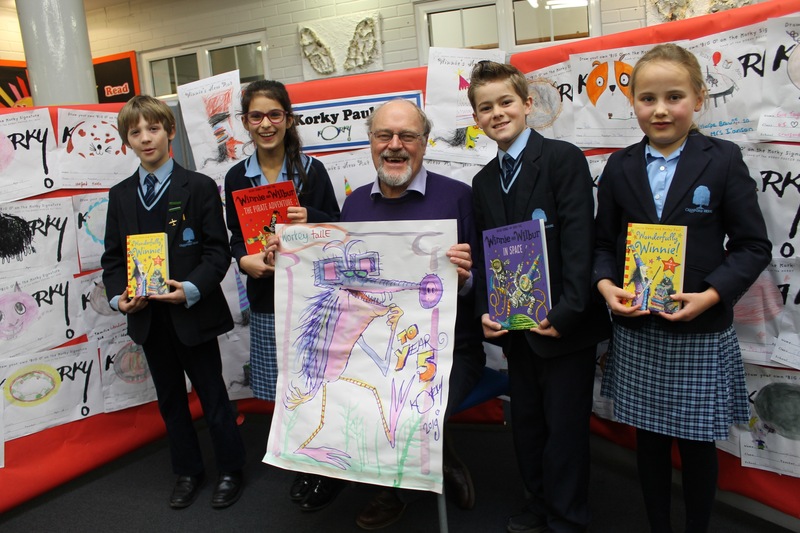 The bookish theme continued on Wednesday as illustrator Korky Paul, creator of the much-loved Winnie the Witch, spent the day in school sharing his love of story-telling and art with pupils from Nursery to Year 6. Further up the school, GCSE Art students from Years 10 and 11 were treated to a masterclass from Korky full of invaluable artistic techniques and tips. The week also saw a team of Year 10s acquitting themselves superbly in the Oxford Schools Debating Competition at Magdalen College School. In addition, it held several exciting meetings centring around planning and preparation for the Senior School Library as we move towards the arrival of our Sixth Form. I hope you enjoy reviewing this exciting and creative week in school in our latest Flickr album. Finally, we were delighted to be joined by so many prospective pupils for our Senior School Assessment Day on Saturday. Offer letters have been sent out in the post today. I was particularly proud of the warm welcome provided to external pupils by our own Year 6s and of the generosity of all those Year 10 pupils who gave up their Saturday morning to help out.